The Academy invites a diverse new class; A look at Facebook's political influence; Stop eating raw cookie dough, says FDA; De Blasio social media director quits abruptly, flames former colleagues on Facebook; Oculus CEO's Twitter account hacked. 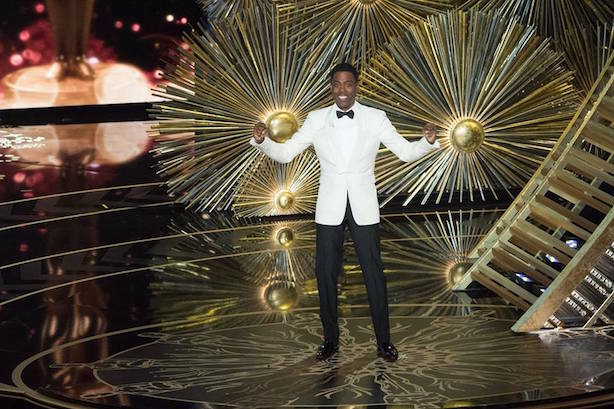 Chris Rock hosted this year's Oscars amid the #OscarsSoWhite controversy. #OscarsLessWhite. The Academy of Motion Picture Arts and Sciences took a step towards becoming more diverse on Wednesday, inviting a class of new members made up of the highest percentages of women (46%) and minorities (41%) in its history. Social media users have protested the dearth of diversity in Oscar nominees in recent years with the #OscarsSoWhite hashtag. Facebook’s political influence was in the spotlight even before Wednesday’s announcement that it will prioritize content from friends and family over that from media outlets. Get out the vote reminders from the social network led to hundreds of thousands of registrations for recent elections in the U.S. and U.K., and the social network was also accused of slanting its Trending list against conservative news this spring. Some experts believe the latest changes to News Feed will expose users to an even less diverse range of opinions, creating a more intense echo chamber. Bad news for raw cookie dough lovers: the Food and Drug Administration wants people avoid it. The culprit is e. Coli, linked to flour that has sickened 38 people in 20 states. The CDC has identified a General Mills plant in Kansas City, Missouri, as the likely source. De Blasio social media director quits, goes on epic Facebook rant. Scott Kleinberg, a former Chicago Tribune staffer, resigned this week after only eight weeks on the job, saying in a Facebook post that he had to exit "for the sake of my health and my sanity." He added: "I ended up with political hacks plus a boss who just couldn’t get it." The latest CEO to have his or her Twitter account hacked is Oculus chief Brendan Iribe, whose account was taken over by a relatively good-natured prankster this morning, who offered to trade the account for an Oculus Rift VR headset. Mark Zuckerberg, Drake, and the NFL’s official handle have all recently been hacked.